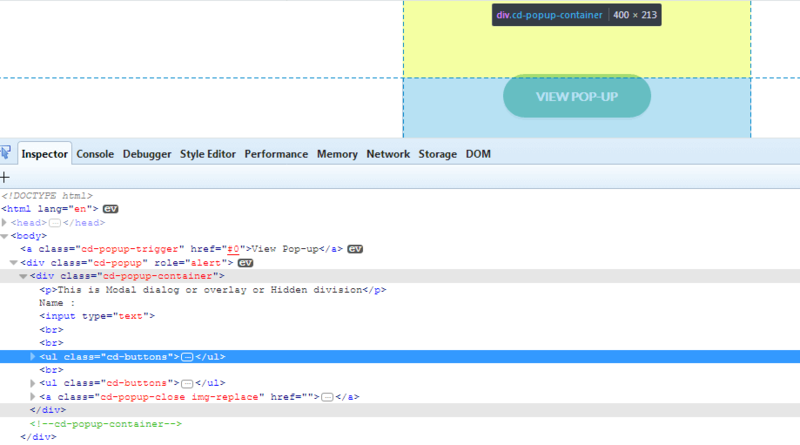 In HTML pages, we have different kind of pop ups, we will discuss about them in this tutorial. Different popups will have different properties. To Access the https://chercher.tech/auth page you need to pass username and password like below. If login is successful you will see below page on the browser. 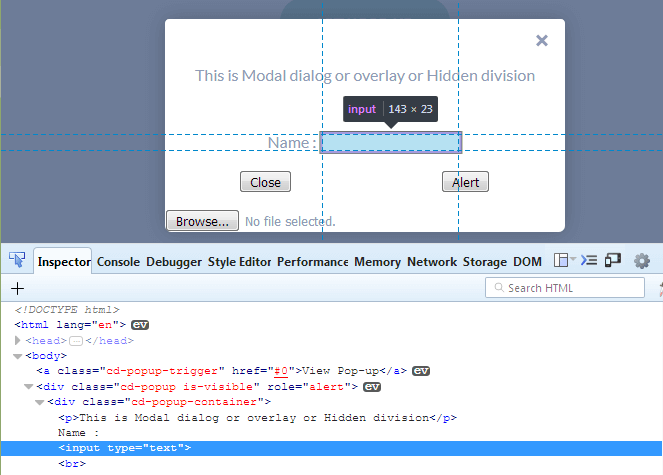 Hidden division pop is nothing but html code which is hidden initially, hidden division pop up also known as dialog or overlay. When hidden division pop is opened, pop takes the focus from the application. Hidden division pop can hold other pop ups/ alerts on it. 5. Send text for the Name, using sendKyes in selenium. 6. No Special Operation required to handle hidden division popup.